Tag Archive | "Gerald R. Ford Airport"
This barred owl was seen in Solon Township. Kathy Dempsey, of Solon Township, has had two visits from this owl in the past week. She thought maybe it was a snowy owl, but we’ve had a few people identify it as a barred owl. 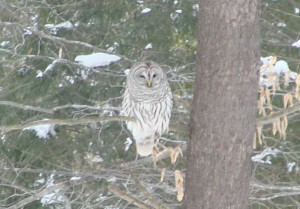 After looking at photos of both types, it does look more like a barred owl. 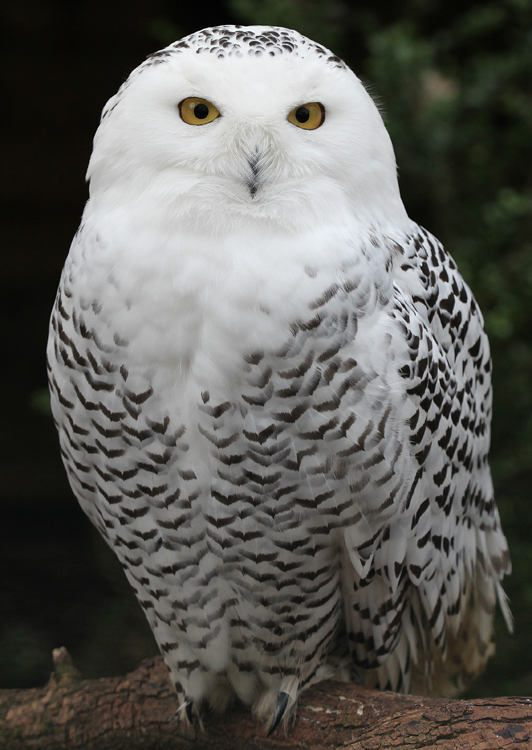 One way you can tell is that snowy owls have yellow eyes and a black beak. 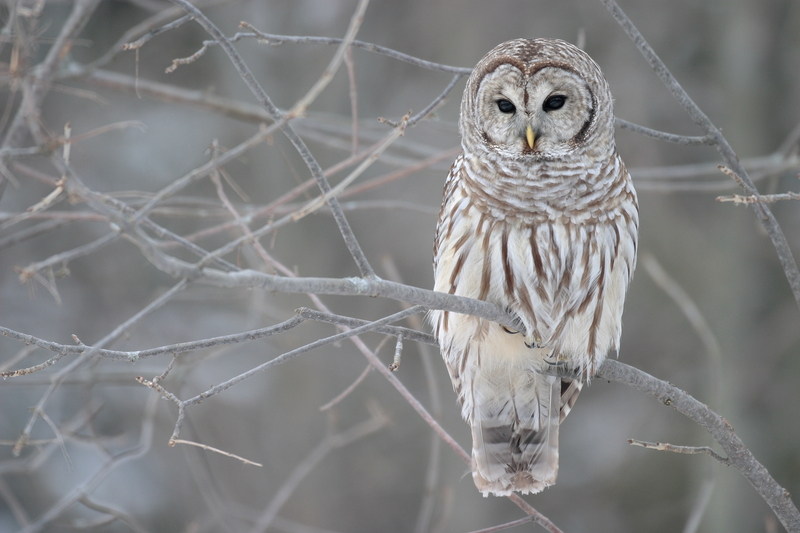 Barred owls have brown eyes and a yellow beak – which this one does. Snowy owls normally stay further north, although there has been an influx of them into West Michigan since December. Wildlife biologists theorized there may have been a disruption in their food supply. 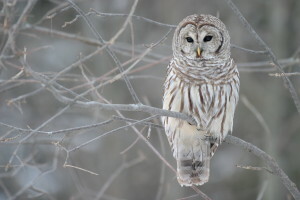 This is a barred owl. Female Snowy Owl. The male is more white.